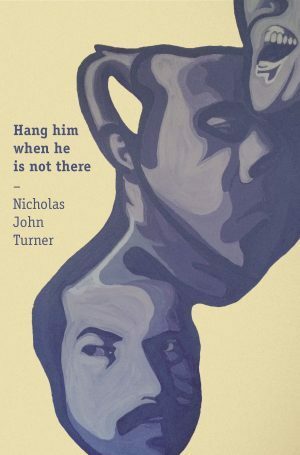 Brisbane author Nicholas John Turner’s debut self-published novel Hang Him When He Is Not There has been longlisted for the Republic of Consciousness Prize, reports the Bookseller. Turner’s novel, which was sold into the UK and Ireland to Birmingham-based small press Splice in May last year, was praised by judges as ‘the novel as hall of mirrors, and it rewards you for following it to the end’. The annual Republic of Consciousness Prize, which recognises ‘brave, bold and brilliant’ literature from small presses, is open to publishers with fewer than five full-time employees. Sweet Home (Wendy Erskine, Stinging Fly). Novelist Neil Griffiths donated £2000 (A$3570) to establish the award in 2017, aiming to acknowledge ‘the role of small presses in keeping alive high-end literary fiction that operated outside genres and struggled to find homes in large conglomerate publishers’. A further £7000 ($12,500) was raised by raffling £10 tickets online. Organisers say that this year’s prize money is likely to be slightly more than last year’s £12,500 (A$22,320), and will be split between author and publisher. The shortlist will be announced on 2 March, with the winner announced on 28 March. For more information about the award, see the prize website, and to read the judges comments on each longlisted title, see the Times Literary Supplement.